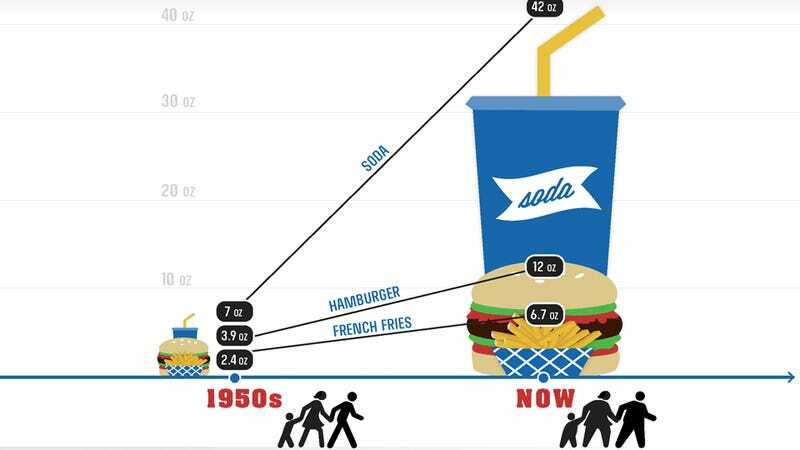 What's the biggest difference between food back in the 1950's and today? Portion size. According to the CDC, meals are four times bigger now compared to what they once were and as a result, people are 26 pounds heavier. Yeesh! No wonder we're all so fat.